We’ve got a problem. And, it’s a huge problem. It’s common knowledge to anyone with a pulse, by now, that there’s a problem with teen suicide and bullying. So, I’m not breaking any news there. The problem we’re facing runs deeper, if that’s possible, than the issues of bullying and teen suicide. We’re suffering from a paralysis on how to effectively deal with both issues. And, that’s allowing the issue to continue to spiral out-of-control. I received notification this morning of three suicides at one school within a seven-week period, ages 14, 16, and 16: a freshman; a sophomore; and, a junior. And, where did I get the information from? A United Kingdom publication! See, in our country, those who should be sounding the alarm, standing on the tallest buildings and highest mountains screaming through the most powerful sound systems at the top of their lungs that we’ve got ourselves a major problem in this country with bullying and teen suicides are doing their best to sidestep the whole situation. They sweep it under the proverbial carpet in hopes that it will magically disappear. They deny the reality that this is happening in our school, in our country, with and to our younger generation. The problem is that the problem isn’t magically going away. It’s continuing to worsen. 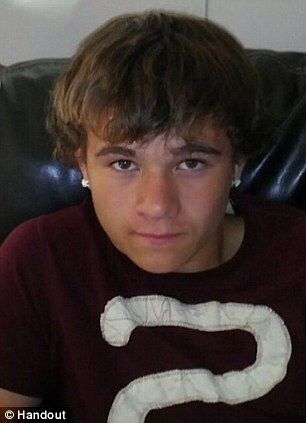 Jordan Halmich ended his life September 28th, one month shy of his 17th birthday. It is alleged that he’d been bullied. Donna Cooley was found by her father on November 2nd after scrawling words on a mirror indicating that she’d been bullied. Destiny Pearson ended her life just this past Monday, November 12th. She was a former cheerleader. 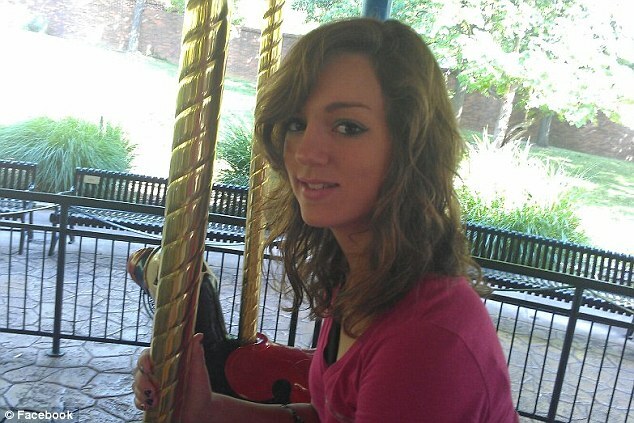 Destiny was a very well-rounded 16 year old, enjoying riding horses, karate, sewing, reading and writing. Her friends deny any allegations that she had been bullied, citing that she was always the one who would stick up for those being bullied. These three teens were all students at St. Clair High School in St. Clair, Missouri. As is the norm in cases of teen suicide, the chief of police in St. Clair issued a statement that, of course, “there was no evidence of bullying.” And, again, I’m at a loss as to where to even start trying to figure this out. The first question that comes to mind is “what, exactly, is it that they’re looking for as “evidence” of bullying? Are these bullied teens supposed to be documenting every instance of bullying? Should they get the documents notarized? Should they get videos of each instance of bullying? Or, should they wait until the bullying becomes physical attack, then take pictures of their bruised bodies? Preposterous questions, all. Or…are they? Apparently, word-of-mouth accounts from the people who spent time with them day-in and day-out accounts for nil. Zip. Nada. Imagine that! You go to school with these people everyday. You are often their close friends. And, in some cases, you actually witness the bullying with your own eyes. Other times, they confide in you what’s going on. YET, when you report that they were being bullied, it falls on deaf ears. Sound familiar? That’s never going to solve anything. Rather, the continuing tendency to sweep this under the carpet is a leading reason why we’re not seeing any progress being made in these instances of bullying and bully-related suicides. Rather than acknowledge that there is a problem with bullying, this police chief instead attempted to push the focus elsewhere. Obviously there are a lot of emotional problems with these individuals,’ St Clair police chief Bill Hammack told MailOnline. ‘But each case has specific identifiers. ‘They are dealing with a lot of emotional and mental issues and there’s not one reason connecting three different suicides of three different teenagers across three different jurisdictions. One common thread that I would see that is occurring is that there is social media involved. Of course, it’s highly possible that all of the above played a role in the suicides. In fact, in at least one of the cases, it is documented that there were problems at home as well as at school leading up to the suicide. And, yes indeed, there is a major issue with teens and social media today. That goes without saying. In fact, it is this author’s opinion that today’s young people have entirely too much free reign on the Internet and that, in itself, is only exacerbating an already troubling situation. But, that’s neither here nor there. That said, the issue here is neither of those things. The issue here is bullying amongst teens, and preteens, in the schools. The issue is bullying and the reluctance to do anything to intervene and/or prevent it. Oh, of course, many school districts now have anti-bullying policies in place. Some have very strict “zero tolerance” policies on record. And, they are very effective. On paper. In the real world, in the schools, in the classrooms, they are grossly ineffective. In the real world, in the schools and classrooms, they may as well be nonexistent. That’s a problem. Young people are told to report all bullying incidents “to a trusted adult…teacher…counselor…other school administrator.” And, they do. To no avail. On the facebook blog page, I very often get reports of people who say they reported their bullying only to be blamed for bringing it on themselves! In other cases, the reports of bullying fall on deaf ears. Eventually, the victim(s) reach their limit and take matters into their own hand. The result is rarely ever good. From being suspended, or expelled! !, themselves for being a bully, to going to school armed and prepared to do serious harm to the perpetrator(s), to taking their own life, the result is very rarely good. The tragedy in that, of course, is that it never has to get to that point. If these officials would stop sweeping this issue under the carpet and start dealing with it for what it is, an epidemic that costing lives needlessly, we wouldn’t see these things continue to occur. And, finally, there’s nothing shameful about suicide. The veil of secrecy must be removed. Continuing to keep these tragic events secret does much more harm than good. The belief that making them more public is nonsensical, at best. The belief that it would cause more, “copycat”, suicides is equally foolish. In my opinion. They’re kept under wraps now and, for the most part, they’ve been kept hush-hush for as long as I can remember. Guess what? With the cloak of secrecy, suicide has surged to become the #1 cause of injury death, surpassing homicide and car accidents. As long as there’s this avoidance, this reluctance to put this problem in the spotlight where it belongs, we’re going to continue to see the numbers rise. A problem can’t be addressed and properly solved if we don’t know what the problem is. Keeping suicides secret is allowing them to continue to climb in numbers. That’s not acceptable. The community of St. Clair, Missouri has a long road of healing ahead of them. The families and friends of the three suicide victim, a lifetime of grieving. And, unanswered questions. My heart goes out to all of them. In memory of the Jordan Halmich, Destiny Pearson, and Donna Cooley, and all the teen suicide victims before them, and all of the ones who continue to endure bullying, both in school and online, may we never, ever lose the fire that burns within each of us to bring this devastating epidemic to an end.